Super Savvy Mommy: Do you need a water filtration system? My grandma used to live in a little town with a water problem. We begged her for years to get a water filtration system and she wouldn't hear of it. She was used to the water at her house smelling like sulfur and she was willing to point out that we should be grateful to have running water, regardless of the way it smells. I can recall spending the night with her and dreading morning because of the smell of the water. I swear you could even taste it in the milk. I always went home with a tummy ache and a plea to my parents to send juice boxes and bottled water on the next visit so I could avoid drinking Grandma's water. Now that I am an educated adult I realize that Grandma's water was in desperate need of filtration. It didn't bother her because it had always been that way and she was accustomed to it. If Grandma had lived in Concord, Ben Franklin Plumbing could have come to her rescue and installed a water filtration system that would eliminate the contaminants to improve the quality of the water and the health of the family. Water Filtration Systems reduce stress on appliances, they create cleaner, clearer water that is free from odor and undesired flavors. 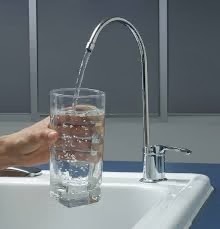 With the average person using more than 80 gallons of water a day a water filtration system can help to relieve some of the strain that your plumbing experiences. Water filtration can reduce the amount of plastic waste a family creates by eliminating the need for bottled water and can save a family a great deal of money. There are many types of water filtration systems and many different reasons to use one. To insure you get a system that meets your needs call on a fast friendly professional service like Ben Franklin Plumbing. Having a reverse osmosis filtration system installed in your home is pretty easy too! There are companies that specialize in this service and can offer you filtration systems for your hot water heater or for installation directly under your sink.